GstarCAD professional - ACE-Hellas S.A.
With 25 years of continuous improvement and lean innovation, today GstarCAD is far ahead in performance, stability and other key indicators and becomes leading CAD software in the world. 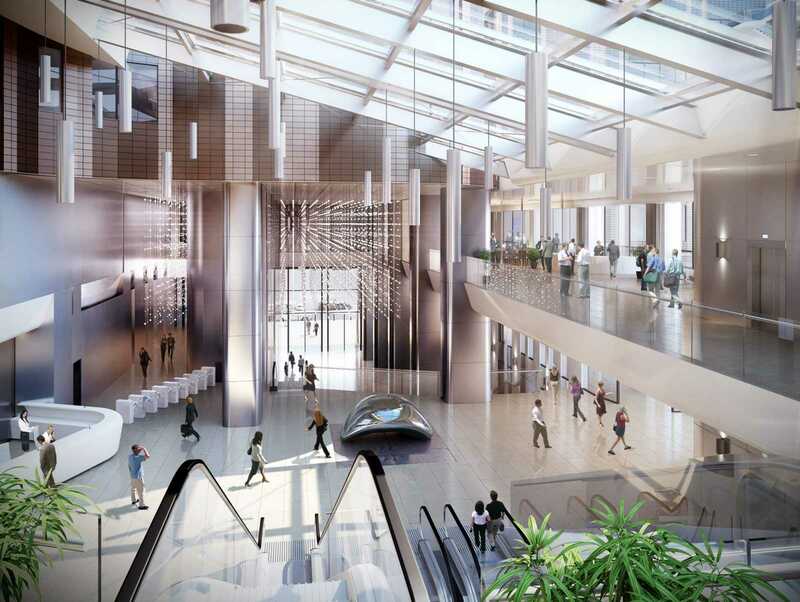 Collaborative Design aims to provide cross-team design collaboration for construction or engineering companies, helping to implement unified design norms and standards, reduce communication barriers between teams and departments and improve the overall design efficiency of projects. Big and complex BIM models can be imported and exported via new IFC data interface. New productive and useful functions help to accomplish design works faster,like “Selection Cycling”,”Check Spelling”,”Make Shape”,”Viewport Scale”,”Redefine Block” and so on. Code-level compatible APIs ensures LISP/FAS/VLX plug-ins programed on ACAD can directly run on GstarCAD while VBA/.NET/ARX plug-ins can be seamlessly transplanted. 2D Drafting and classic interface can be switched in a wink. 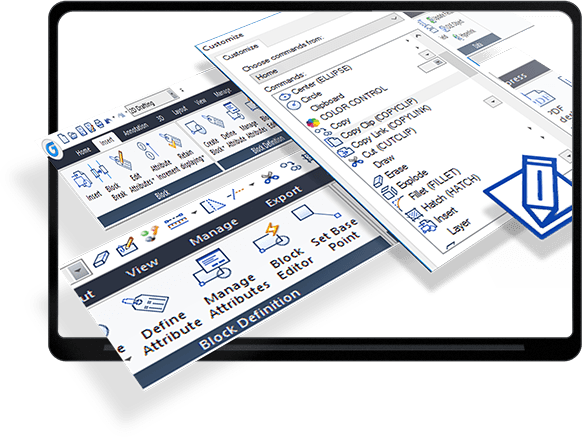 2D drafting interface is supported by a ribbon with its tabs and panels. It displays the most used commands as thumbnails for easy selection. Classic interface is supported by toolbars and it’s the most preferred by old users. 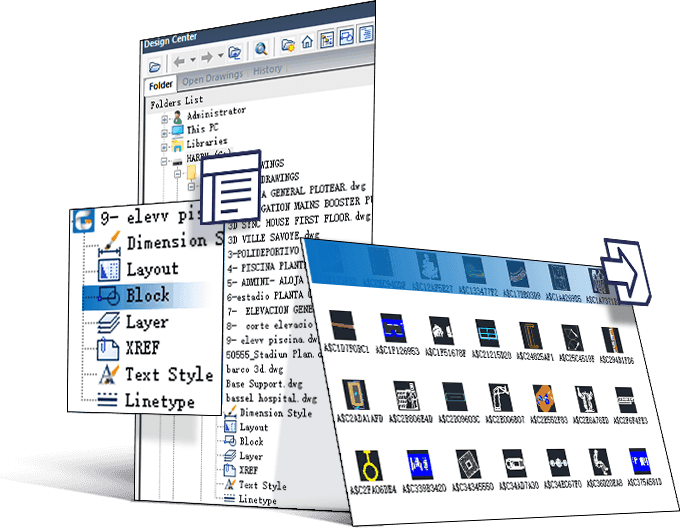 Interface appearance makes your drawing environment more comfortable because it supports options for applying different themes as well as show or hide the menu bar, toolbars, file tabs and status bar. If you want to maximize drawing space, you can press “CTRL+0” or click Clean Screen icon on the right of status bar to hide Toolbars, Windows or Ribbon. Layer states manager enables you save the current property settings for layers in a named layer state and then restore those settings later. GstarCAD provides free cloud storage to registered users. 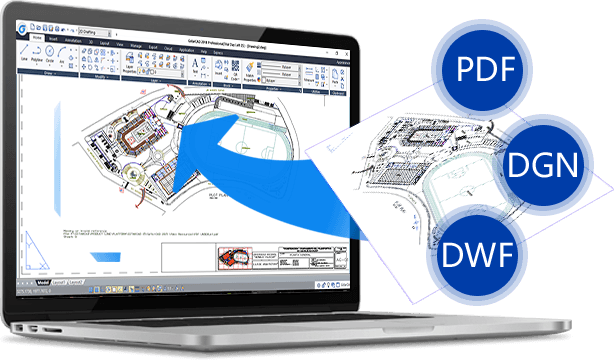 If your are a registered user, you can share drawings with DWG FastView for Web, DWG FastView for Mobile and DWG FastView for Windows. You can easily view your drawings from web page, mobile phone or computer, making design work more free and convenient. No need to open files. It can purge the excess objects such as blocks, layers, line type, dimension style or text style on several DWG files at the same time. Batch print drawings with the same drawing frame attribute and to save engineer’s time to improve efficiency. Turn the drawing into a whole block. Others can’t modify the objects of the original drawing. It is a good way to prevent others from modifying the drawing. You can insert PDF files as reference underlay. You can insert DGN files as reference underlay. You can insert DWF files as reference underlay. GstarCAD supports the following data format. Import: WMF,SAT,DGN,DWF,3DS Export: DWF,DWFX,WMF, SAT,STL,EPS,DXX,BMP. Generate Barcode and insert into drawing. Quickly find out the corresponding drawing later by scanning and identifiying Barcode. Users can insert a QR into a drawing, it can save drawings’ related information like company name, then you can access the information through mobile. Compare drawings of similar appearance in the same drawing file to identify detailed geometric differences. Contrast results is inserted into the current drawing area. Directly conduct SUBTRACT/UNION/INTERSECT calculation without converting polylines to regions. This command is 3 or 4 times quicker than TRIM. Annotation Scale automatically adjusts size of objects, such as text, dimension, block, etc. You can quickly and easily handle drawings of different scales. 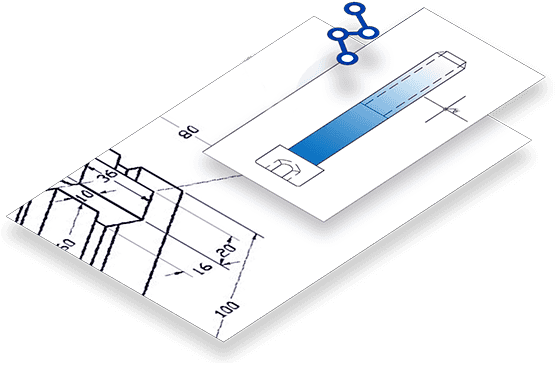 Dimension Tools provide accurate values for the objects, including Quick Dimension, Linear Dimension, Angular Dimension, Baseline Dimension, etc. Revision Cloud consists of a continuous polyline. You can use it to call attention to parts of a drawing during the review stage. Autoxlstable allows create a sheet or table directly in Microsoft Excel to be inserted to GstarCAD automatically. 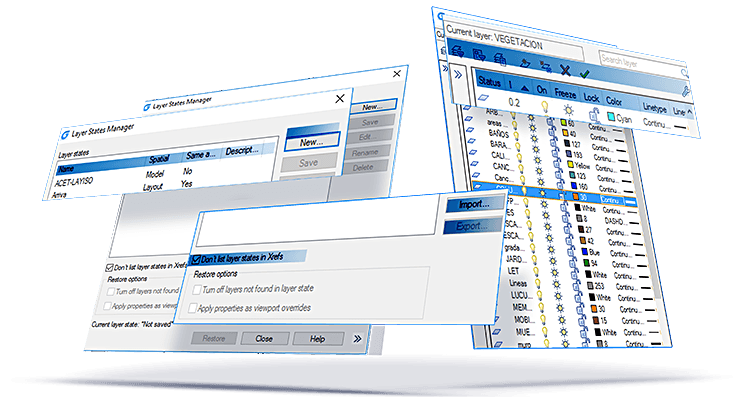 CAD Table to Excel export accurately a sheet or table, composed by line/Spline and text/Mtext from GstarCAD to Microsoft Excel. Dynamic Block function can save your time and make you specify drawings easily. You don’t need to repeatedly draw a series of standard components. This function can reduce your cumbersome block libraries in the process. What’s more, you can create and modify dynamic blocks properties in the Dynamic Block Editor. This tool helps to view a specific area of your drawing as a magnifier with the capability of snap points without performing zoom in/outon big drawings like map or survey and also is practical to use and customize. Save time on exploring small details of your drawing or even drafting in a jungle of intersected objects easy and quickly. 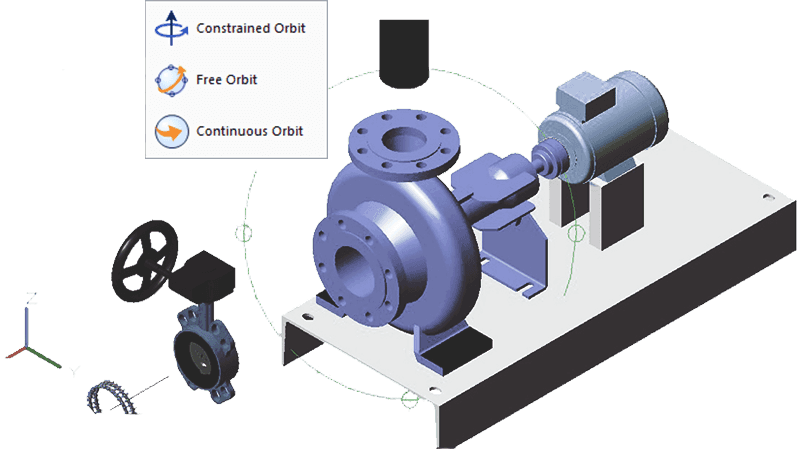 3D orbit options like: Free Orbit, 3D Continuous Orbit, Orbit along the X-axis, Orbit along the Y-axis, Orbit along Z-orbit and 3D Orbit Center allows rotate the view in 3D space or even you can apply a shortcut (SHIFT+SCROLL MOUSE). Visual styles control the display of edges and shading a viewport. You can control the effect of a visual style by switching each other. When you apply any visual style, the associated viewport is automatically updated to reflect those changes. 3D face allows to create a three or four-sided surface anywhere in 3D space. 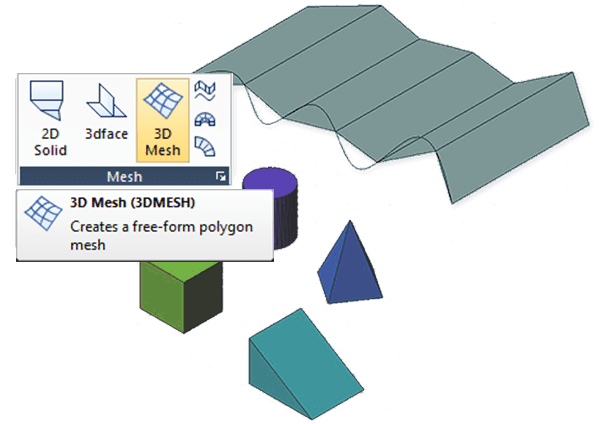 Mesh Modeling creates a free-form polygon mesh. You can reshape mesh objects by smoothing, creasing, refining, and splitting faces. You can also drag edges, faces, and vertices to mold the overall form. 3D solid objects often start as one of several basic shapes, or primitives, that you can then edit and recombine. Some samples of solid editing capability enables you join two solids, subtract one from the other, or create a shape based on the intersection of their volumes. 2D profile and sections can be generated from a 3D model through SOLPROF, SOLDRAW and SOLVIEW commands. Solprof creates 2D projection profile of 3D model consisting of visible and hidden lines. 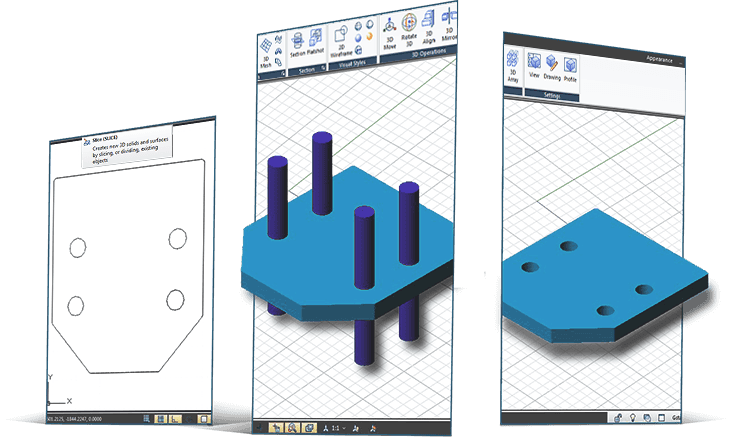 Solview creates orthographic views, layers, and layout viewports automatically. Soldraw generates profiles and sections in layout viewports created with SOLVIEW. Render gives a photorealistic shaded image of a 3D solid or surface model, improving visualization. You can apply materials to your 3D model to define the shininess, bumpiness, and transparency of object’s surfaces to give them a realistic appearance. 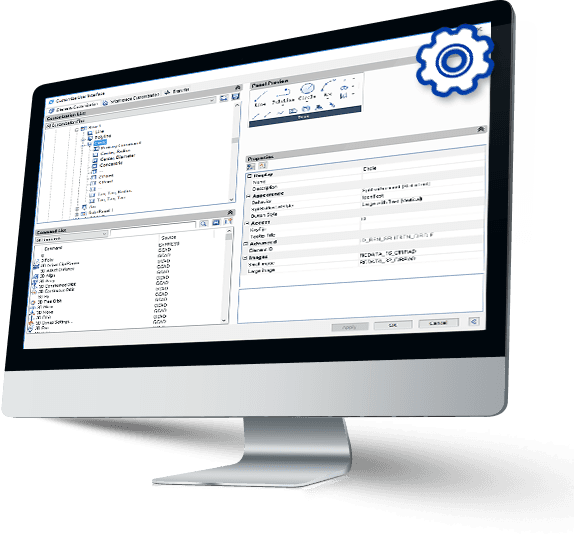 Manages the customized quick access toolbar elements in the product. Add or delete commands at the quick access toolbar to make the drawing environment specific to certain types of tasks. Manages the customized user interface elements in the product. 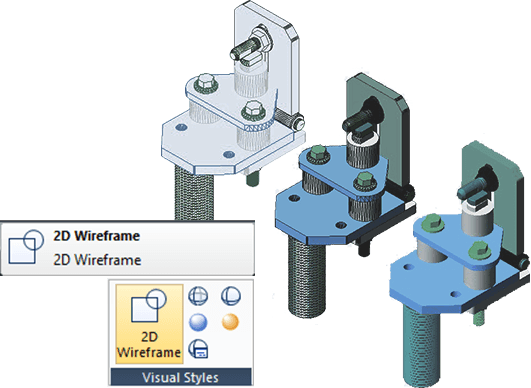 Customize the user interface to make the drawing environment specific to certain types of tasks. A command alias is an abbreviation that you enter at the command prompt instead of entering the entire command name.Such as you can enter C instead of circle to start the CIRCLE command. Shortcuts customize provides a faster way to invoke a command. 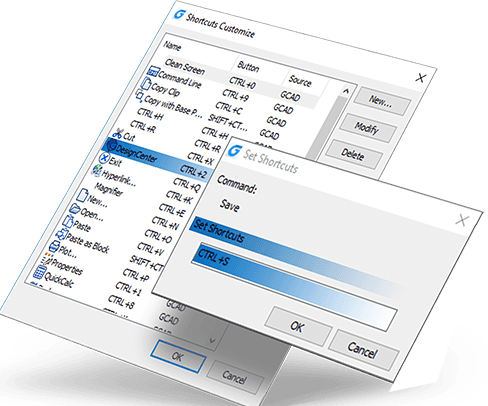 The CUSTACC command allows you to customize, delete or modify existing command shortcuts.Such as CTRL+S for SAVE. 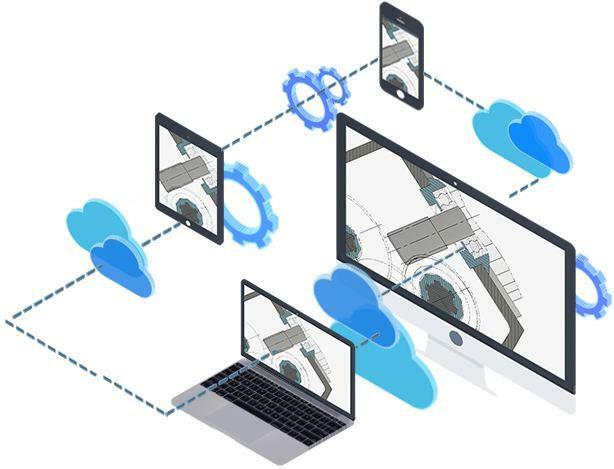 Object GRX technology provides the foundation for design software applications to share intelligent object data. 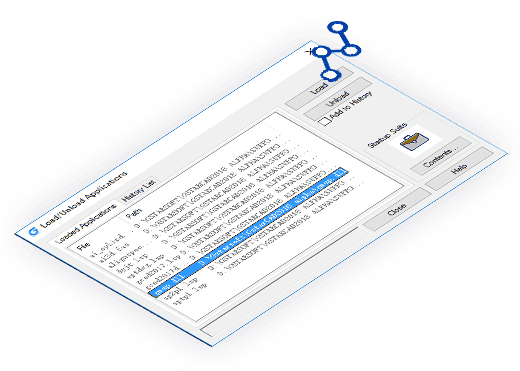 You can run third-party Object GRX application programs or write your own.Plug-in applictions developed with VBA/GRX/DBX/Lisp/Vlisp can be loaded to GstarCAD. 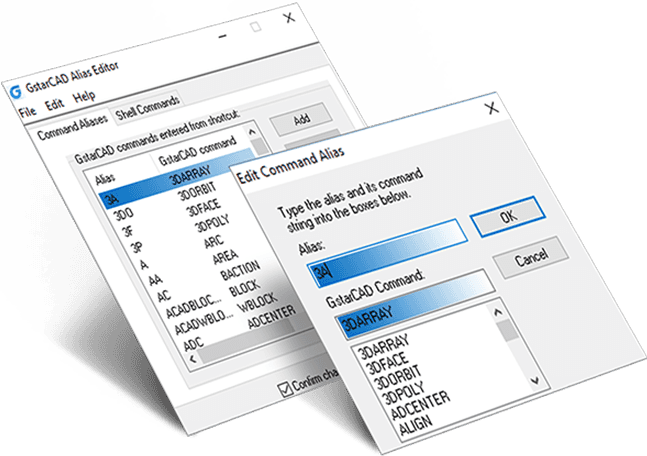 GstarCAD .NET API enables you to manipulate the application and drawing files programmatically with libraries that are exposed and can be accessed by many different programming languages and environments. 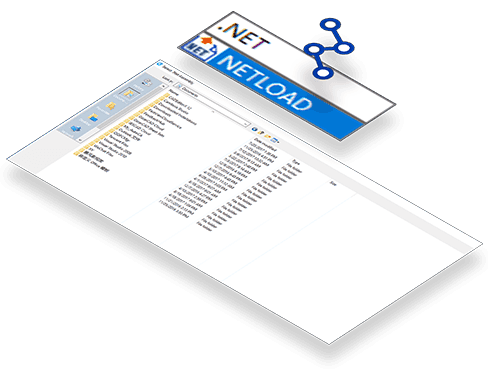 Users are able to automate tasks such as creating and modifying objects stored in the database of a drawing file or change the contents of a customization file.